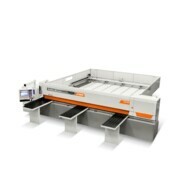 To cope with very high production rates Casadei offers 2 models equipped with a rear loading table: the AXO 400 T and the AXO 500 T HD. 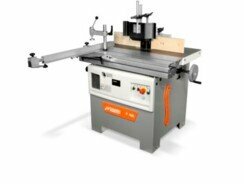 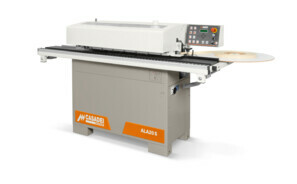 The Aura series band saws have been designed to suit craftsmen and small companies who require a product which guarantees a good price/quality ratio. 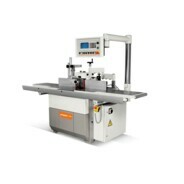 The Edge Banding machine Flexa 607 is an extremely versatile machine with high level performances that place it at the top of its category. 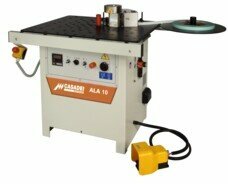 The ALA 20 S edgebander is Casadei's proposal for the craftsman. 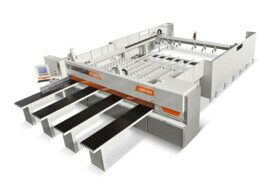 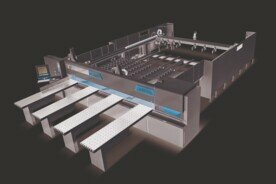 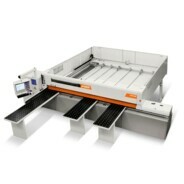 The ALA 20 PLUS edgebander is Casadei's proposal for the high-level craftsman. The Flexa 207 Super is a machine designed for medium/large industries. 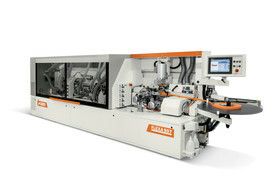 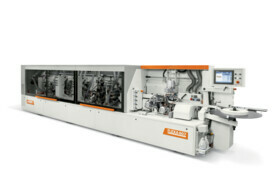 The Flexa 307 is a machine which offers performance without compromise for large industries. 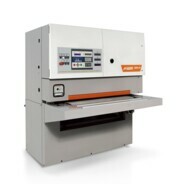 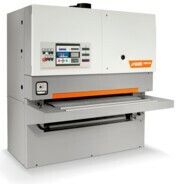 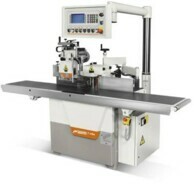 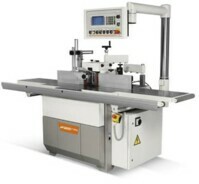 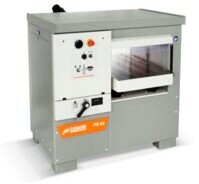 Manual edgebander with glue pot for straight and shaped panels (concave, convex and round). 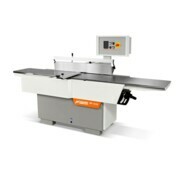 The PF 41 ES surface planer is an entry level machine with the performance of a professional machine. 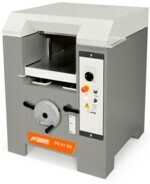 The PF 41 surface planer meets the requirements of carpenters and the most demanding companies. 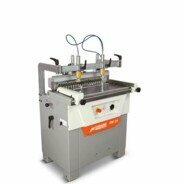 The PF 52 surface planer meets the requirements of carpenters and the most demanding companies. 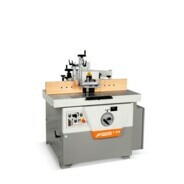 The PF 410 surface planer has been designed to meet the requirements of carpenters and the most advanced companies. 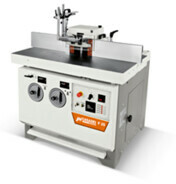 The PF 520 M surface planer has been designed to meet the requirements of carpenters and the most advanced companies. 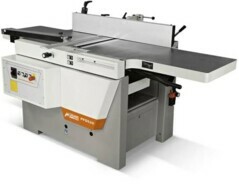 The PFS 520 combined surface/thickness planer has been designed for craftsmen and carpenters who require a high performance machine but only have a limited space available. 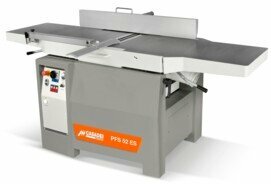 The PS 63 thicknessing planer has been designed to satisfy the most demanding craftsmen and companies. 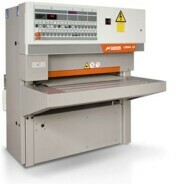 The PS 520 thicknessing planer has been designed to satisfy the most demanding craftsmen and companies. 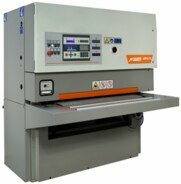 Its high performance and the standard and optional equipment available place the PS 630 thicknessing planer at the top of its category. 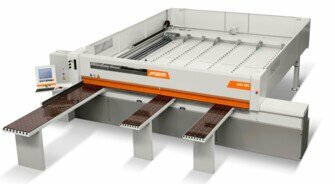 The PS 52 thicknessing planer has been designed to satisfy the most demanding craftsmen and companies. 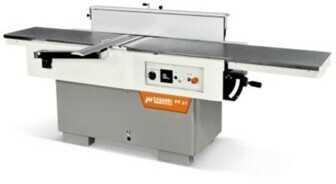 The PS 41 ES thicknessing planer has been designed with the typical features of Casadei machines - sturdiness, reliability and ease of use. 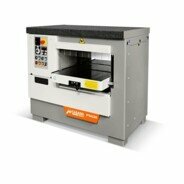 The R 600 and R 800 routers are very sturdy machines with an excellent construction quality. 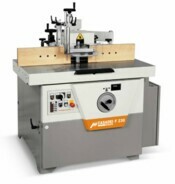 The LN series stroke sanders are extremely robust and versatile, which places these models at the top of their category. 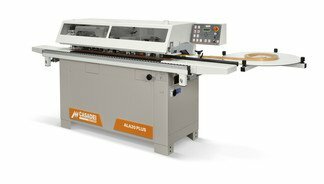 The new range of Casadei XENIA 60 automatic sliding table panel saws has been designed to fulfil the requests of a more and more demanding and qualified market. 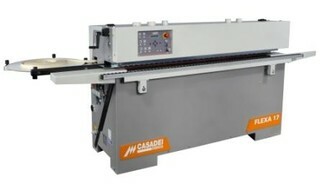 The new range of Casadei XENIA 70 automatic sliding table panel saws has been designed to fulfil the requests of a more and more demanding and qualified market. 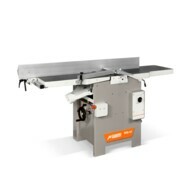 The Casadei SC40M circular saw with powered tilt and lifting of saw blade unit was designed to meet the market requirements for high quality cuts and optimum performance. 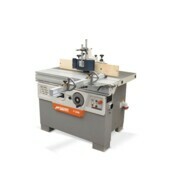 The Casadei XENIA 30 circular saw was designed to fulfil the requests of a more and more demanding and qualified market. 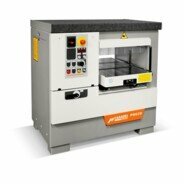 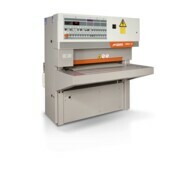 The SC 30 P and SC 40 P panel sizing circular saws have been designed to satisfy the most demanding customers. 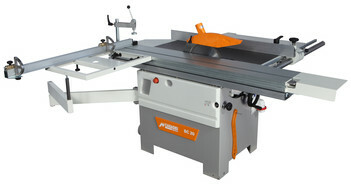 The SC 30 circular saw is very sturdy and of excellent construction quality. 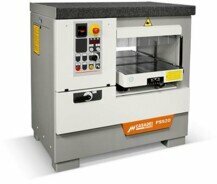 The F 205 spindle moulders are very sturdy machines with an excellent construction quality. 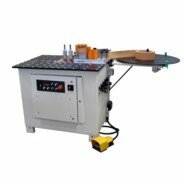 The F 25 spindle moulder with tilting spindle combines sturdiness, reliability, ergonomics and ease of use. 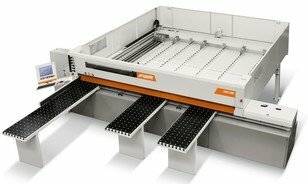 The electrospindle controlled by inverter, the spindle tiltable ± 45,5° and the wide range of options available, make the F 255A spindle moulder suitable for the most demanding users. 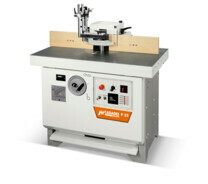 The F 200 spindle moulders are very sturdy machines with an excellent construction quality. 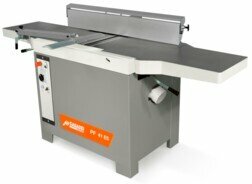 The F 23 spindle moulder with fixed spindle combines sturdiness, reliability, ergonomics and ease of use. 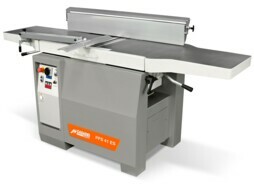 Heavy duty operation, reliability, ergonomics and ease of use are the main features that make the F 230 an advanced product, unbeatable in its category. 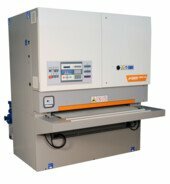 The complete standard configuration and the wide choice of options available make the F 235A a spindle moulder suitable for the most demanding users. 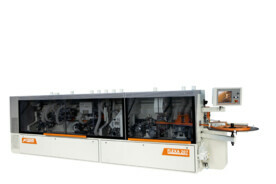 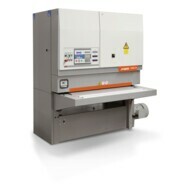 Universal trimming machine for straight and shaped panels (concave, convex and round). 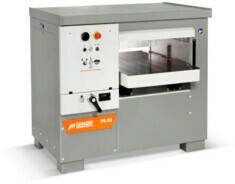 Automatic wide belt sander. 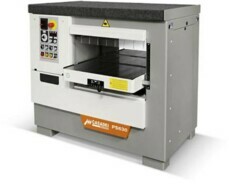 Casadei's industrial technology and innovative solutions are also available to small companies. 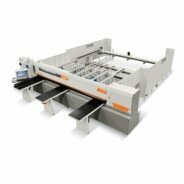 The Libra 65 is a machine designed for the large industry which requires a high quality finish and high production rates. 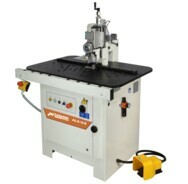 The Casadei F255 Automatic Shaper with HSK Spindle is equipped with a heavy duty steel base with thick wall cross section and aged cast iron table with ribbed design. 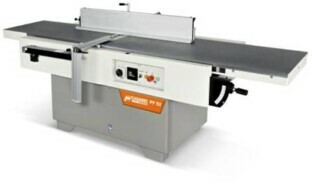 Casadei's PS 630 Planer is a heavy duty machine with stepless feed speed control by inverter, powered raise & fall on 4 columns, 300 mm (11¾”) maximum working height, are part of the standard composition of the machine.